With an assist from Jessica Dugar, Brian Ertel of the NPS performs surgery to insert a transmitter in an invasive lake trout. Yellowstone N.P. 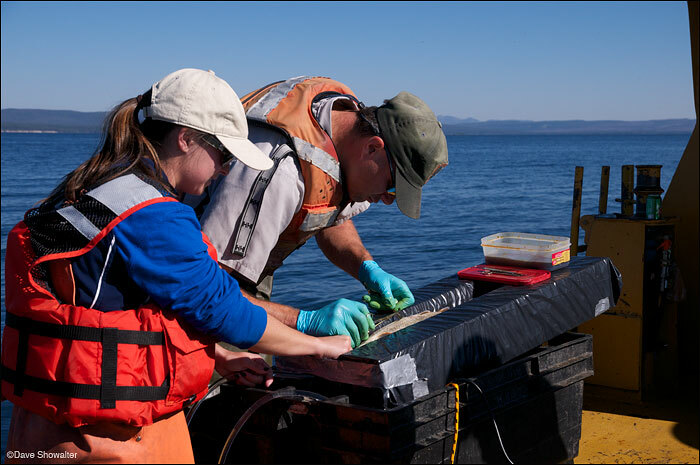 lake trout removal project on Yellowstone Lake. Photo © copyright by Dave Showalter.